Wondering about the most lacking vitamin in your diet? 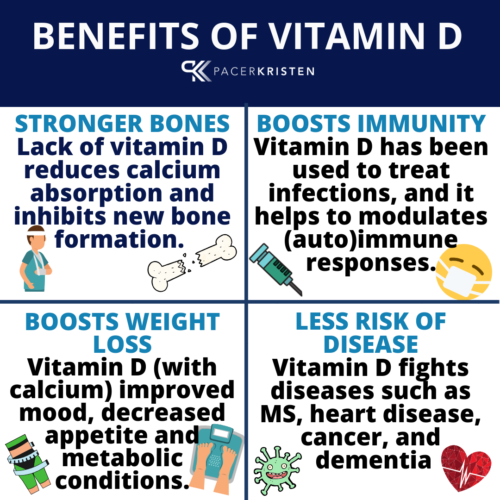 Here’s one topping the list….VITAMIN D DEFICIENCY is growing due to lifestyle or location (meaning lack of sun exposure), age, and/or diet. …It’s a healthy, happy hormone! …But what about Vitamin D since it activates the release of serotonin and dopamine…to make you HAPPY! Almost every single cell in your body has a Vitamin D receptor! It’s no surprise that when you soak up the sun, it can be so invigorating! You are literally DRUNK on Vitamin D while it’s busy at work building strong bones, increasing immunity, reducing inflammation, protecting. your heart, balancing blood sugar levels, increasing your immunity, and ACTIVATING HAPPY HORMONES! SUNLIGHT = HAPPINESS + HEALTH! Here’s the deal…A mere 15 minutes in the sunlight provides approximately 10,000 IU of Vitamin D (nearly 5xs the minimum recommended amount)! Certainly, many look to fortified foods, including soy or dairy products, fatty fish, or supplements, to boost Vitamin D levels, and for good reason! Vitamin D makes for stronger bones, it boosts immunity, assists with weight loss, decreases risk of disease, and even makes you HAPPY! Unfortunately, soy, dairy, fish and supplements many times come with potential side effects including inflammatory responses, mercury exposure, and chemical additives. 👉 Vitamin D is fat soluble. When adding this supplement (as well as A, K, and E -the other fat soluble vitamins), your body absorbs its benefits when taken with a meal containing healthy fats such as flax seed, avocado, coconut oil, almonds, or walnuts. 👉 Know your Vitamin D dosing needs with a 25-hydoxyvitamin D blood test. Since Vitamin D is fat soluble, you can actually take too much leading health risks. Get tested for your levels before adding supplements. 👉Add Vitamin D3, rather than D2 since it’s easier to absorb being the type created by our skin. D3, the alternate variety, can be made with animal products, so stick with D2 if you are vegan. 👉As with all supplements, I recommend a gel or liquid variety since tablets are slower and more work to digest and absorb. 👉High stress can be a Vitamin D inhibitor, since your body will will choose to put its work into the synthesis of cortisol, the stress hormone, rather than Vitamin D, the happy hormone. The need to keep you alive takes priority over happiness! Still not sure about supplementation? 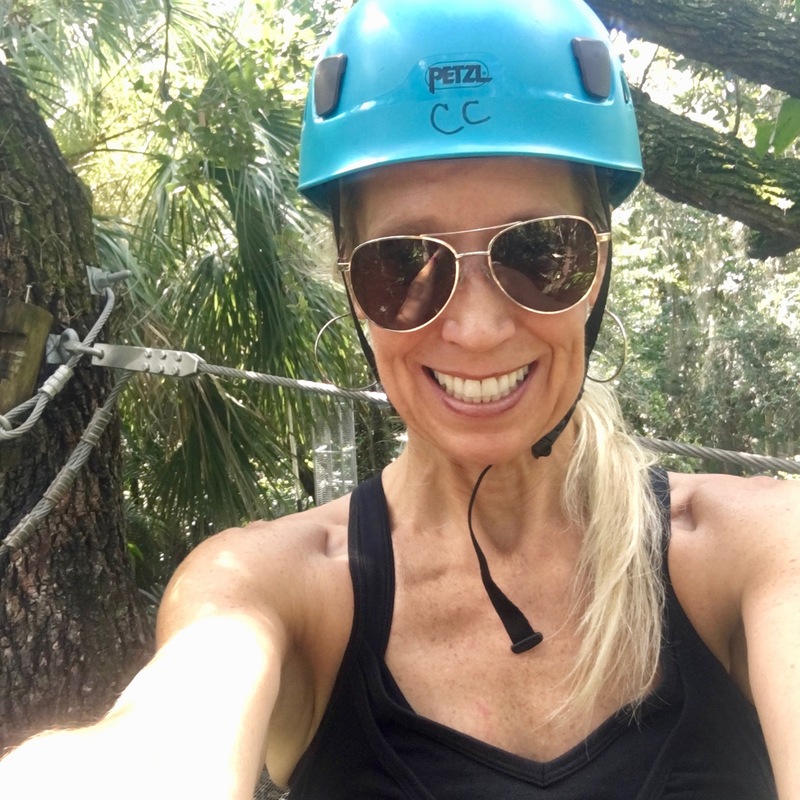 Head to the blog where I explain “Why You Should Supplement Your Diet.” And, with any supplement, and especially Vitamin D, please consider having your levels tested to verify the required amount. Too much is bad thing, and so is too little! Bottom Line? Get outside as much as possible, in the sunshine, having fun, with a bit of adventurous exercise. Want more Vitamins, HAPPINESS and HEALTH in your life? Get registered for my next program!